It was a Night to Shine. A prom for people with special needs. BEL AIR, Md. — It was a Night to Shine. 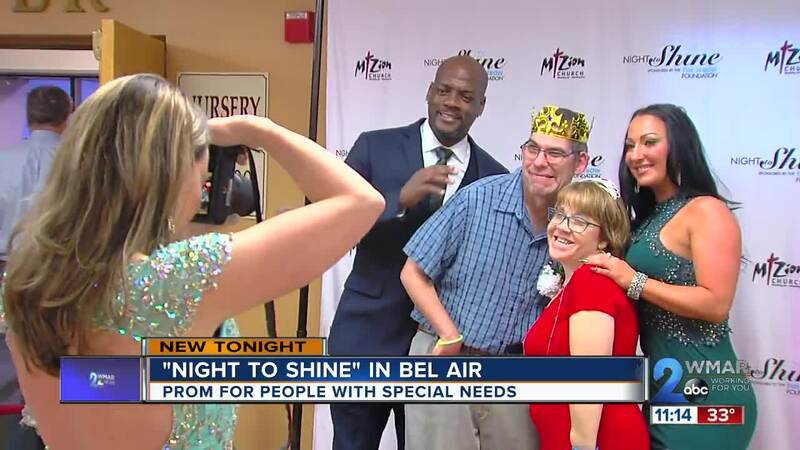 A prom for people with special needs. Every guest gets to walk the red carpet, have their hair and makeup done, get a limo ride, a catered dinner, and of course a dance floor! Each guest is crowned king or queen of the prom making the night an unforgettable one for everyone involved. A Night to Shine was started in 2015 by the Tim Tebow Foundation. And on Friday night, more than 700 places held an event in all 50 states and across the globe.